I love the wines of Domaine Albert Mann for their varietal accuracy, purity and transparency to site. Albert Mann passed away in 1994. Today this iconic Alsace estate is run by Mann’s daughter, Marie-Claire, and her husband, Maurice Barthelmé. She oversees the winery’s financial operations, while he manages the vineyards. They are joined by Maurice’s brother, Jacky, who makes the wines, while Jacky’s ex-wife directs the estate's communication and marketing. Most importantly, when the Barthelmé brothers joined forces in 1989, Jacky Barthelmé's own vineyards were added to the Albert Mann holdings, thereby doubling the size of the estate overnight. In fact, both the Mann and Barthelmé families have wine histories that date back to the 17th century: the Manns were based in Wettolsheim and the Barthelmés were from Kientzheim. Jacques Barthelmé, the father of Maurice and Jacky, was actually a partner in the latter town’s well-respected Domaine Blanck in the 1970s and 1980s. Although the estate’s history dates back more than three centuries, Albert Mann did not begin estate-bottling until 1947. As is often the case in Alsace, farming the vineyards has never been easy: the estate owns 23 hectares divided across a mind-boggling 100 different plots. These parcels are distributed over numerous sites, including one clos, or monopole, two lieux-dits, and five different Grand Crus. Those five are Furstentum, Hengst, Pfersigberg, Schlossberg and Steingrubler, planted to seven different grape varieties, all of which have different terroirs and harvest times. Not surprisingly, Riesling and Gewurztraminer, at 29% and 20% of the estate’s total acreage, are the two most widely planted grape varieties respectively. Pinot Blanc and Auxerrois (19%), Pinot Gris (17%), Pinot Noir (11%) and Alsace’s two different Muscat varieties (4%) round out the varieties grown in the Mann vineyards. The domaine is not just committed to Alsace’s classic grapes and wines, but also believes strongly in organic farming and biodynamics. The estate was certified by Ecocert in 2000 and has been Biodyvin-certified since 2010, even though biodynamic farming began at the estate as early as 1997. The Albert Mann estate owns 2.5 hectares in Furstentum (in other words, roughly 9% of this 28-hectare Grand Cru), distributed over eight different parcels. The vieilles vignes of Gewurztraminer are true old vines that are, on average, more than fifty years old. Some were planted as far back as the 1930s. Two of the original five parcels of old vines needed to be uprooted due to old age and low productivity and aren’t yet back in production as the new vines are currently only four years old. The south-facing Furstentum plots are located between 300 and 350 meters above sea level (the Grand Cru, as a whole, runs from 300 to 400 meters’ altitude), but the local climate is not as hot or sun-drenched as the southern exposure of the vines might lead one to believe. A heavily forested area just above the vineyard helps create a relatively cool environment. Although noble rot (Botrytis cinerea) does not does not develop as extensively in the Furstenstum as it does in Altenbourg, a Premier Cru-quality site situated just below, characterized by richer soil and much higher humidity, there is enough botrytis to produce Séléctions de Grains Nobles wines as well. The Furstentum Gewurztraminer vieilles vignes are planted to massale selections on 161-49 rootstock, which is not especially vigorous and is both ideally suited Gewurztraminer and the hard limestone soils of the Furstentum’s steep slopes. 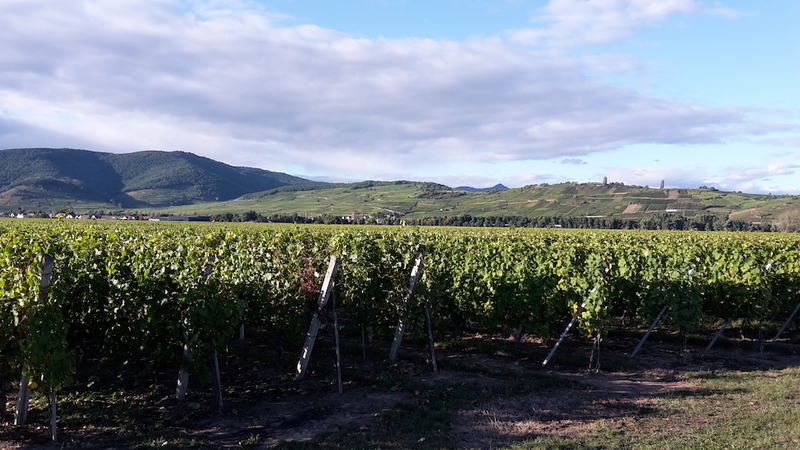 According to Maurice Barthelmé, the Furstentum is one of the four or five greatest sites in Alsace for Gewurztraminer, a list that includes, in his view, such hallowed names as Zinnkoepflé, Goldert and Kirchberg de Barr. 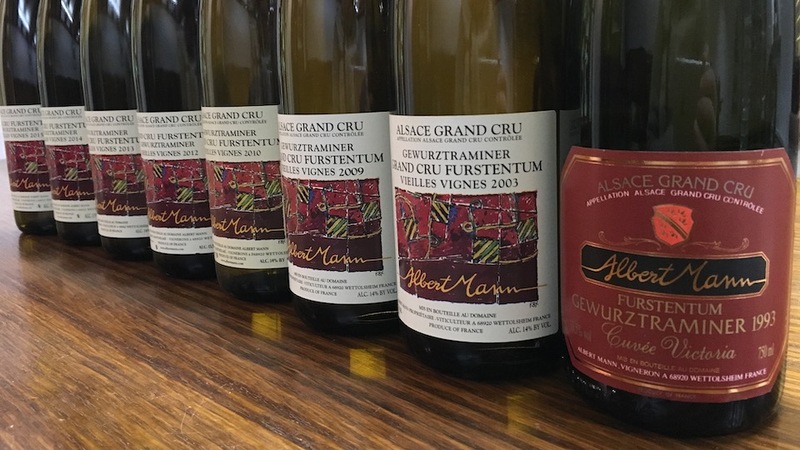 Barthelmé believes that the Hengst and the Mambourg Grand Crus also produce great Gewurztraminers, but he feels that the examples from these two very famous sites are longer on power and shorter on refinement than those made from Furstentum grapes. To be sure, Mambourg Gewurztraminers, which are perhaps the most opulent and powerful examples of the variety made anywhere in the world, can be low on acidity in the hottest vintages. I also think that the Grand Crus of Eichberg (in Eguisheim) and Sporen (in Riquewihr) deserve to be counted among the top sites for Gewurztraminer. Unlike some ultra-famous but rather hot Grand Crus such as Mambourg or Rangen, Furstentum’s strong limestone soil component virtually always guarantees sufficient acidity in the wines, considering that Gewurztraminer grapes are not known for their high total acidity or low pHs. An archetypal Furstentum Gewurztraminer is about elegance and perfume rather than sheer opulence and power. Typical aromas and flavors include blood orange, white and yellow flowers, tropical fruits that are normally not ultra-ripe, and sweet spices. Readers should keep in mind that Albert Mann’s Furstentum Gewurztraminer is more off-dry than bone-dry. Also, it is worth knowing that the Barthelmé brothers like to include at least some berries hit by noble rot because the presence of this beneficent fungus greatly increases complexity and texture while concentrating acidity in the finished wines. The Barthelmés never put this wine through malolactic fermentation and bottle it with only a light filtration. As my tasting notes in this report make clear, Gewurztraminer, from the right terroirs and in the rights hands, is capable of producing wines that age remarkably well. The fact that Gewurztraminer is a low-acid grape has given it a reputation for wines that are best drunk when young, but that is not true for many examples from Alsace. As it turns out, the wines of Alsace are among my favorites, and they are heavily represented in my personal cellar. For example, within the past year I have had numerous Alsace Gewurztraminers from several producers dating as far back as the 1961, 1967 and 1971 vintages – in other words, wines that are now 57, 51 and 47 years old – and all were delightful and nowhere near over the hill. Clearly, there are favored terroirs in Alsace that are able to deliver Gewurztraminers that age longer than others, thanks to a combination of physical parameters such as soil type, altitude, exposure and slope. Over the years, for example, numerous producers have made very long-lived and utterly distinctive Gewurztraminers from plots planted on the marly clay slopes of the Eichberg, the Goldert and the Sporen. The wines’ relatively high alcohol and extract levels, coupled with their healthy acidities, are also important elements that can allow Gewurztraminers to age 25 years or more. Of course, this begs the question of whether anyone should hang onto Alsace Gewürzes that long, especially as these wines are typically so enjoyable in their youth. 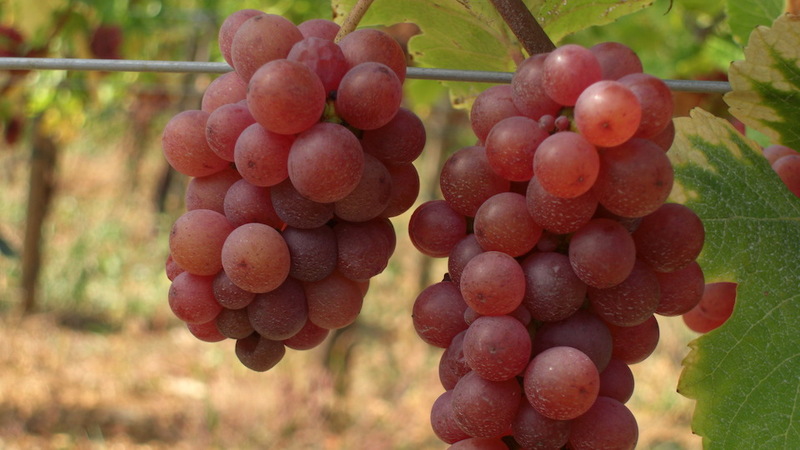 However, it should be noted that the impression of sweetness in Gewurztraminers decreases over time (some residual sugar is almost always left in these wines at bottling for a variety of reasons, the main one being to offset the bitter taste of terpenes, the molecules that give these wines their typical aromatic character). And so there are many wine lovers who prefer to hang onto their bottles. In the case of Albert Mann's delightful Furstentum Vieilles Vignes bottling, one can go either route – drink now or drink later – with equally satisfying results. All of the wines in this article were tasted at the estate with Maurice Barthelmé in September of 2017. I conducted a second tasting of the same vintages with friends in Venice in May of this year, opening bottles that I had purchased through the years upon their release. With one lone exception (the 2002, most likely due to a poor cork seal), my scores and tasting notes were similar in the two tastings.